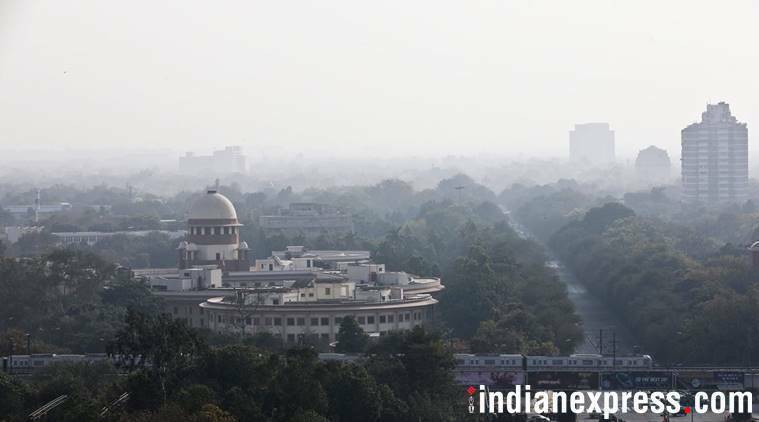 The apex court was hearing an appeal by Dalmia Bharat’s subsidiary, Rajputana Properties (RPPL), against the May 15 order of the National Company Law Appellate Tribunal (NCLAT) that allowed the CoC to consider a revised offer for Binani Cement put forth by UltraTech Cement. The Supreme Court Monday restrained finalisation of the sale of assets of the bankrupt Binani Cement without its prior approval. However, it allowed the debt resolution process to go on. The top court also said that further proceedings will be subject to its orders. A vacation bench led by justice Adarsh Kumar Goel while issuing formal notice to UltraTech Cement, which has been voted as the highest bidder by the committee of creditors (CoC), and others said: “In the meantime, no final order may be passed. This order will not debar further proceedings subject to orders of this court.” The matter will be further heard on July 2. Dalmia Bharat had emerged as the top bidder for acquisition of assets of Binani Cement, but subsequently UltraTech Cement, which was the second highest bidder, came back with a revised higher offer, backed by original promoters of Binani Cement. On May 28, Binani Cement’s CoC had voted in absolute majority in favour of the revised resolution plan submitted by UltraTech Cement that has offered to pay Rs 7,960 crore for the bankrupt firm. Under this plan, all the financial as well as the operational creditors will receive their complete dues. The resolution plan was subsequently required to be approved by the NCLT and the NCLAT where the matter is pending. In fact, on Monday the resolution professional (RP) of Binani Cement, Vijaykumar V Iyer, submitted UltraTech Cement’s revised resolution plan before the NCLT Kolkata bench. This was challenged by RPPL, which questioned the eligibility of UltraTech Cement to bid for the assets. While RPPL wanted to see the resolution plan of UltraTech Cement, the bench while denying this asked the RP to serve a copy pertaining to the details on the reasons for approving UltraTech’s revised resolution plan by the CoC. This was based on the May 15 order of the NCLAT which had asked the CoC to furnish reasons for “approving one or the other resolution plan”. The next hearing at the tribunal is scheduled on June 18.